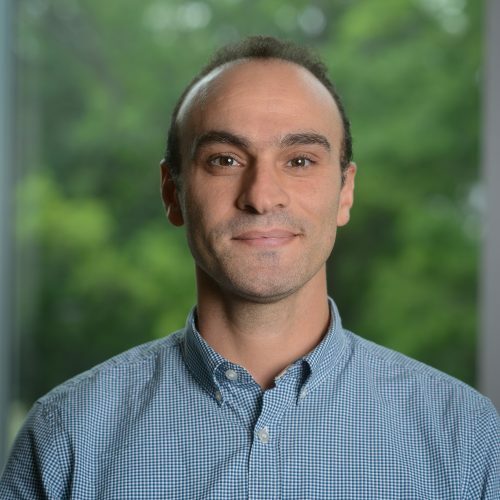 Dr. Kaoumi’s research interests revolve around developing a mechanistic understanding of microstructure property relationships in nuclear materials, with an emphasis on microstructure evolution under harsh environment (i.e. irradiation, high temperature, and mechanical stress) and how it can impact the macroscopic properties and performance. Understanding the basic mechanisms of degradation of materials at the nanostructure level is necessary for the development of predictive models of the materials performance and for the design and development of better materials. Materials of interest include advanced alloys for structural and cladding applications in advanced nuclear systems (e.g. Austenitic steels , Advanced Ferritic/Martensitic Steels, Oxide-Dispersion-Strengthened (ODS) Steels), High-temperature Ni-based alloys, Zirconium alloys and nanocrystalline metallic systems. Characterization techniques of predilection include both in-situ and ex-situ techniques e.g. In-situ irradiation in TEM (over 15 years of experience), In-situ straining in a TEM, chemi-STEM, SEM, XRD, Synchrotron XRD. Kaoumi, D., & Liu, J. L. (2018), Materials Science & Engineering. A, Structural Materials: Properties, Microstructure and Processing, 715, 73–82. Liu, J., & Kaoumi, D. (2018), Materials Characterization, 136, 331–336. Byun, T. S., Kaoumi, D., & Bai, X. M. (2017), Journal of Nuclear Materials, 497, 107–107. Zheng, C., Auger, M. A., Moody, M. P., & Kaoumi, D. (2017), Journal of Nuclear Materials, 491, 162–176. Marsh, C., & Kaoumi, D. (2017), Materials Science & Engineering. A, Structural Materials: Properties, Microstructure and Processing, 707, 136–147. Marsh, C., Depinoy, S., & Kaoumi, D. (2016), Materials Science & Engineering. A, Structural Materials: Properties, Microstructure and Processing, 677, 474–484.